We’ve told you several times now about Amazon’s insane Prime Day 2017 sale on the Amazon Echo, which is currently on sale today only for $89.99. 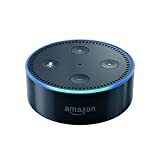 That’s the lowest price Amazon has ever charged for the Echo by a wide margin, and you’d be crazy to pass up this deal. But the Echo isn’t the only Alexa speaker on sale for Prime Day. Amazon also slashed the price of the Echo Dot to an all-time low of just $34.99, which is unheard of. 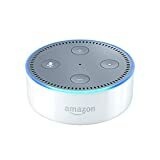 What’s more, a fantastic third-party accessory called the Fremo Evo that transforms the Echo Dot into a portable Alexa smart speaker is also on sale at an all-time low. Check out all the info below. 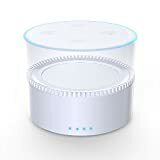 Easily and securely attaches to Echo Dot by a magnet with no interference. Easy to separate. 5200mah LG battery cell Enables your echo dot to continuously function for more than 6 hours without being plugged in. Recharges using the Echo Dot power adapter. Intelligent battery management system allows the user to leave the power adapter plugged in without damaging the battery. Please use the plug and cable that came with the Echo Dot.